Did you know that weight training is imperative for bone health? To understand why, it is important to know how bone cells work together to keep bones healthy and strong. 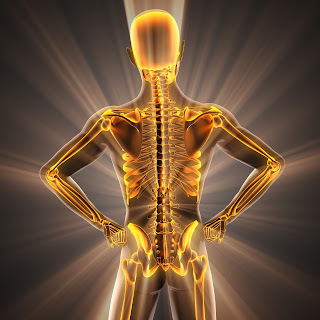 The two main processes that take place within bones are formation and resorption of bone tissue. 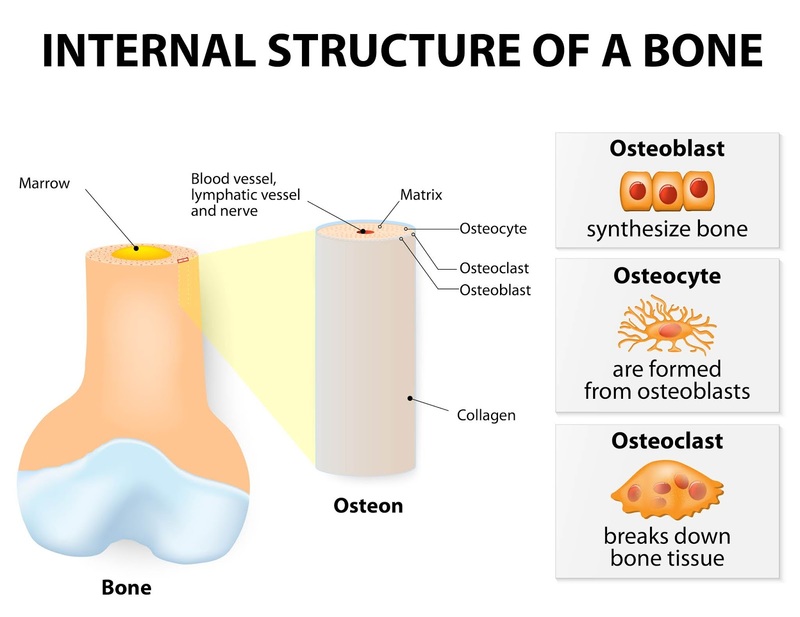 Bone formation takes place when osteocytes and osteoblasts (bone formation cells) conjugate together to create new bone tissue. This process takes place on the protective outer layer of each bone. Bone resorption is the process of bone tissue breakdown, which is performed by powerful cells called osteoclasts. This process takes place within the bone tissue itself, beneath the protective outer layer. 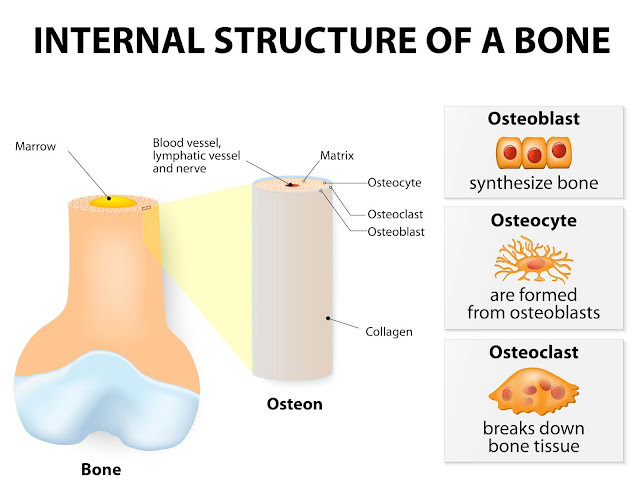 It is important for bone resorption to occur, as this process results in the release of minerals such as calcium from the bone and transfers them into the blood. Bone resorption and formation are constantly taking place within the bone tissue. As the body ages, bone formation cells begin to lose the ability to keep up with those controlling resorption. This occurrence contributes to many bone disorders and weaknesses. Decreased bone tissue can lead to elevated fall risk, lower blood cell production, and even osteoporosis. To combat the aging process, we must address the factors which stimulate the cells to function. Mechanical stress has a profound influence on the stimulation of osteocyte and osteoblast contributions to bone formation. Through placing mechanical stress on the bones, bone formation rate can be accelerated, which restores balance between bone formation and resorption. How does one apply mechanical stress to bones? This is where weight training plays an important role in bone health! Mechanical stress can be placed on bones through the push and pull movements of joints against a force. Ligaments are fibrous tissues that connect bones to form joints. 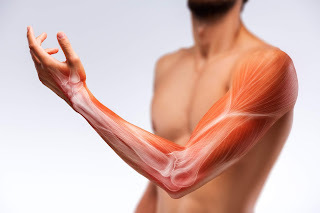 Tendons are the fibrous tissues, which connect muscles to bony prominences, ultimately allowing for joint movement. Muscles contract or shorten to allow a joint to flex, and they elongate to allow the joint to extend. The contraction of muscle tissue against a force such as a free weight, fixed machine, elastic band, or medicine ball, creates the mechanical stress necessary to support the stimulation of bone formation. There are multiple physiological factors that contribute to decreased bone health over time. Factors such as hormonal and neurological changes that occur with age are often out of personal control. Fortunately, mechanical stress through weight training is a positive health factor that can be controlled, and it is readily accessible so long as one knows where to find it. Working with a trained professional on the most efficient and effective weight training techniques can provide individuals with accelerated and safe methods to reaching optimal bone health. 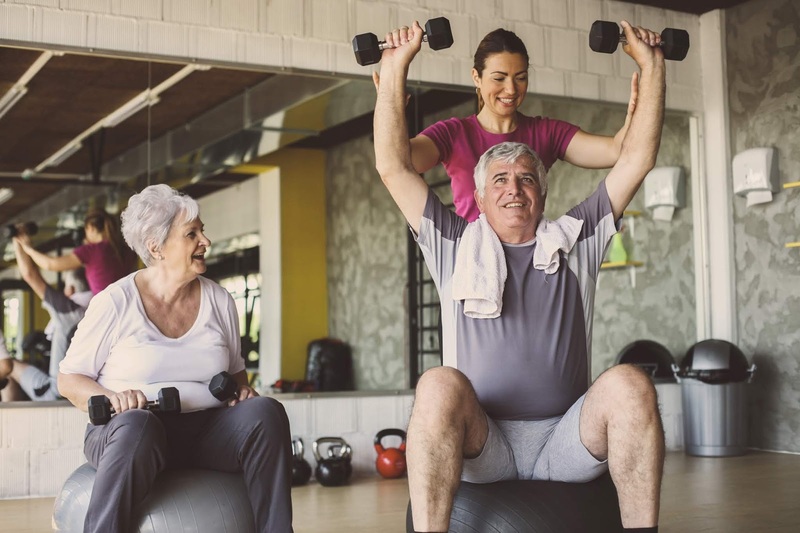 Qualified exercise specialists can school clients on proper weight training prescription such as the frequency, intensity, amount of time and type that is necessary for their needs. As always, it is important to consult with a physician before beginning any type of exercise program.